When recording in the field you can capture timestamped timers and counters and export the results when back online. Counters - create multiple counters, named to your need. 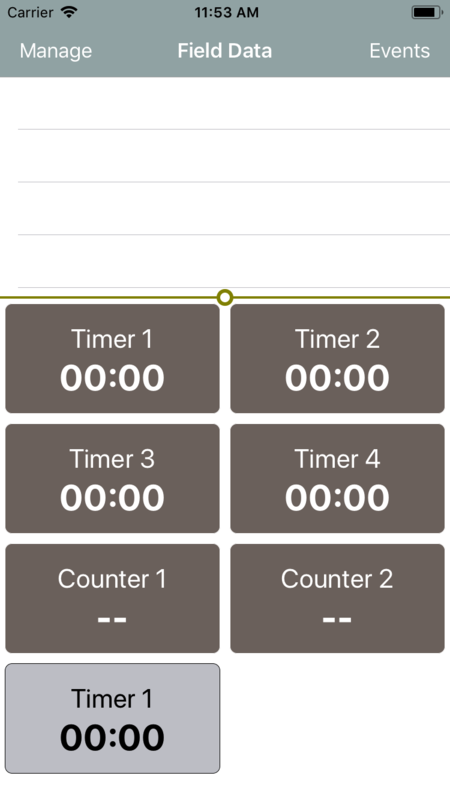 Timers - create multiple timers; named to your need. Export results to Google Drive as CSV, JSON or plain text.